In a world of always being in a rush, time and convenience are priorities. Chipping or breaking a tooth can disrupt your plans. 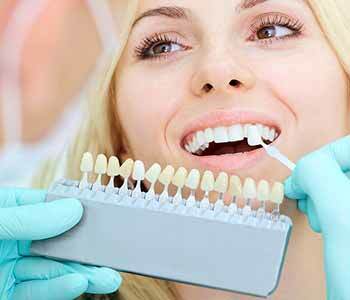 Thankfully, dental technology has improved and with it comes options to repair teeth quickly. Located in Yadkinville, Dr. William Virtue, of Virtue Dental Care, offers CEREC tooth restoration to meet the need for same day crowns. Crowns are used to cover a cracked tooth, implant, or a tooth after a root canal. CEREC crowns are different in the time it takes and how the crowns are made. Traditional crowns are created from impressions of your teeth that are sent to a lab. CEREC crowns are fabricated using digital impressions and are made right in the dentist’s office. There are several benefits to CEREC restorations. They are made of porcelain so they appear natural and match the surrounding teeth. The crowns are sturdy and durable giving you a strong biting surface. CEREC crowns are created in the office the same day as your appointment, so there is no waiting with a chipped tooth. Virtue takes a photo of your tooth to match the crown in color and size to your other teeth. Time, convenience, and appearance are important to all of us. The ability to have dental restorations done in a timely fashion is a great technological advance. With the CEREC milling machine, patients can easily have their crowns made in a single visit. Dr. Virtue is SMART-certified and is a fellow of the International Academy of Oral Medicine and Toxicology (IAOMT). In the past, he acted as president and secretary of the IAOMT. Patient health is a priority. If you need tooth repair, consider CEREC crowns. Call the office today to schedule an appointment with Dr. Virtue – (336) 679-2034.